No more severe anxiety at the dentist! Are you the perfect candidate? Conscious sedation is a highly effective treatment technique, though it is relatively unknown among the general public. Do you find it hard to manage your anxiety during visits to the dentist? Do you have a strong gag reflex? Have you previously had a negative experience at the dentist? Do you have hypersensitive teeth or a fear or phobia of needles? Do you seem to have a resistance to local anesthetic? 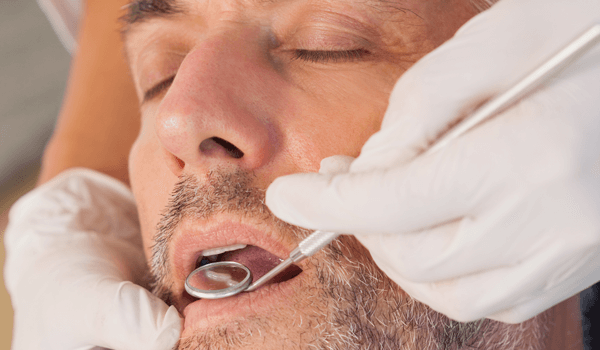 Rather than settling for a general anesthetic or avoiding dental visits altogether for lack of simple and effective options, it's worth exploring dental treatment under conscious sedation. Conscious sedation is performed by inserting an intravenous catheter and administering a combination drug that induces a state of comfort and relaxation for the duration of the dental procedure. The technique is simple and accessible and entails few risks or complications. Conscious sedation helps the patient remain calm and relaxed while they receive dental care. The sedative effect is very rapid and generally induces amnesia. Conscious sedation does not eliminate the need to administer a local anesthetic, but it makes the process less unpleasant. The entire procedure is performed at the dental centre in a completely safe and secure environment. Since the recovery period is short, patients can be quickly discharged and accompanied home by a responsible adult. Before we're able to perform conscious sedation, you must qualify to receive the treatment. Your dentist will check your eligibility by reviewing your medical questionnaire with you and assessing your overall health condition. Conscious sedation administered intravenously can only be performed by dentists who have completed specialized training. The procedure is recognized and strictly regulated by the Ordre des dentistes du Québec (Order of Dentists of Quebec). Dr. Michael Pasoff at Centre dentaire Parisloft is highly qualified in the use of conscious sedation. Now you no longer have to compromise your oral health for fear of going to the dentist!